"In the 11th year of Meiji, in the middle of Tokyo, this tale begins...." Now, for the first time in English, get the facts on your favorite rurouni in one comprehensive volume. If you thought you knew everything about Nobuhiro Watsuki's Rurouni Kenshin, think again. Into the bustling streets of Tokyo, the capital of Japan and epicenter of the Meiji Restoration, enters Himura Kenshin, a rurouni or "wanderer." 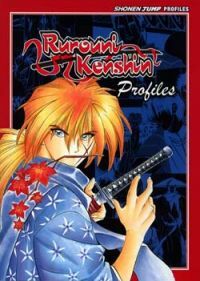 His past cloaked in mystery and violence, his future uncertain, Kenshin's journey will put him up against some of the most dangerous and memorable figures in manga history.